For the majority of the time I spent transitioning, I never bothered purchasing a leave-in conditioner. Not a single one. I'm sure you are familiar with the LOC, LCO, and other methods of layering products to maximize moisture retention. The L in both methods is often interchangeably referred to as "liquid" or "leave-in". Essentially, the idea is to first apply a water-based product to the hair. I like to stick firmly to leave-ins for this particular step of the method, because I can be assured that the water content in the product moisturizes my hair, while the conditioning agents soften, tame frizz, and help eliminate snarls and tangles. All the while I can be confident that the product won't weigh my hair down, coat it too much, or make it feel waxy when dry. Leave-in conditioners are actually formulated differently. They tend to be lighter, and more watery than standard rinse-out conditioners. Regular and deep conditioners are designed to have certain ingredients stick to your hair after washing out, which can lend itself to buildup if used regularly as a leave-in. 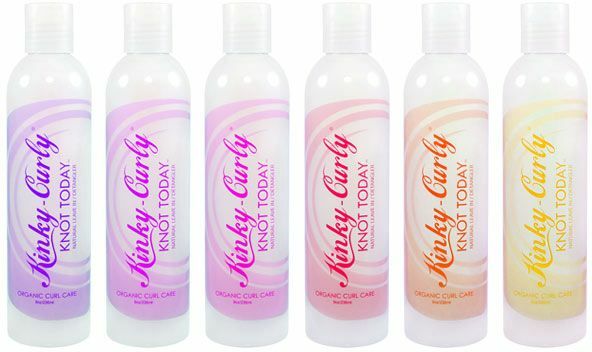 Leave-in conditioners are designed to well, be left in the hair and do not contribute so easily to said buildup. Because rinse out conditioners are "stronger" in a sense, they also have the potential to cause irritation on the scalp due to being left in. And depending on which conditioner you use and how much, it can result in white flaking on the hair (from personal experience). Both irritation and white flaking are unlikely with specified leave-ins, because they are created to serve that exact purpose in remaining on the hair. Do You Really Need Another Product? The honest truth is, maybe. I know, such a cop-out answer, right? But it is true. Whether you need a leave-in, DIY concoction, or to repurpose regular conditioner is totally dependent upon your hair and what works best for you. In my DIY days, I found that concocting my own mix was perfect for moisturizing and softening my transitioning tresses that I wore in protective styles 80% of the time. But as a fully Type 3-something natural who relies heavily on 4 and 5 day wash and go's, I can't afford to risk buildup from regular conditioner. Nor do I want to further aggravate my scalp psoriasis. If you make your own mix of conditioner, water, and oils, be sure to make only enough for a few days (3 max) at a time. Because the preservatives in the product are diluted from their original formulation (due to the water and oil), your mix can go bad in a few days. Prolong the shelf life with tea tree oil, Vitamin E oil, and store it in a cool place away from sunlight (fridge not recommended for mixes containing oils that are solid when cold). If you are going to use regular conditioner as a leave-in, avoid the scalp (it is best to start 1 - 2 inches from the scalp) when applying product. Also, avoid using conditioners with silicones in the first 5 ingredients if you do not regularly use shampoo. If you are a regular shampooer, silicones are not an issue.